I never really got the Anne Geddes obsession when she was all the rage. But now that our own baby is almost here, I have been wanting my own little album of our baby at his tinniest in these cute little props. There is an Omaha photographer that offers such a service for basically the cost of having a baby in the first place. Might as well take advantage of new parents at their most vulnerable. I get it, it’s brilliant business. I want a picture of Brandon in this adorable little hammock. I pitched the idea to Steve, but apparently not very convincingly. “You want to spend that kind of money on a picture of our baby in a pot with a flower on his head?” He said incredulously. “Just snap a few pictures of him yourself!” And I laughed. I laughed because of how ridiculous the idea was in the first place, but I hadn’t realized it yet. I was blinded by that pint-size hammock. What is it about being pregnant that makes you lose touch with reality? Probably the same thing that has me filling up his closet with adorable clothes, some of which he won’t be able to wear for a year or two. Probably the same thing that has me thinking there’s got to be some way I can work less so I can be home with him more. I’m already obsessed with this little guy, and as of now he is just kicks in my stomach. I guess a new reality is coming my way, and it might not be quite as reasonable as my old reality was. All aboard! your world will change in so many wonderful ways when the little one arrives. 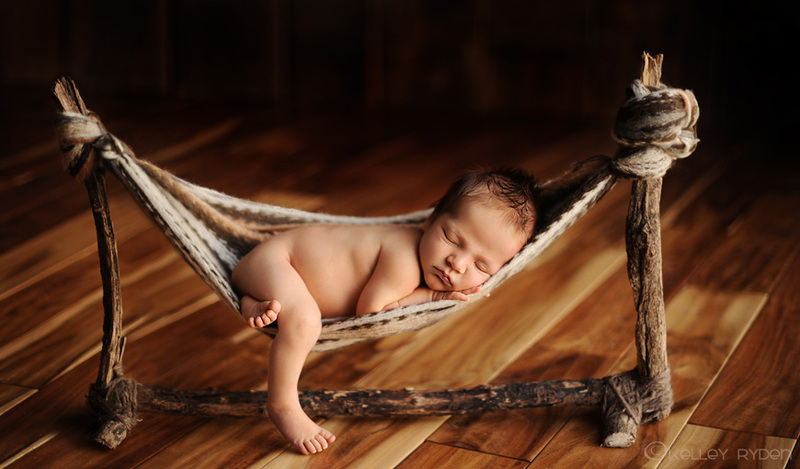 The hammock is cute but I bet the photo you will take of him asleep on Daddy's chest (with daddy asleep too) will be the one you will really cherish. The thing is, you will rarely ever look back at photos of the baby because by then you will be obsessed with how adorable your two-year-old is, and then how smart your three-year-old is, and then how cute your four-year-old is, and then how amazing your five-year-old is. I don't think I've ever taken out the baby photos of my kids because I'm busy enjoying their adult selves right now. Just don't put him in a platter. On the table. I will come over to take pictures when baby boy comes. I think we will probably come to town around spring break. Haven't told matthew and melinda about this yet. You get the hammock…i'll try. I'm not one for props…but i'd try for you. Bet your baby will be beautiful. i can not wait to meet baby brandon. i can not wait to see you and stephen as parents. it is the hardest, most rewarding job in the world, and we all dream ridiculous things that aren't feasable upon their arrival, and for the rest of their lives. donna, you are funny. and i tend to agree – no platter on the table, looks like he is a scrumptious rump roat about to be eaten.